Education is a conscious process of imparting training for fulfilling the responsibilities of life. It is the training of the intellect, body and spirit. “You do not educate a man by telling him what he knows not, but by making him what he was not”. Education is a conscious deliberate process in which one personality acts upon another in order to modify the development of that other by communication and manipulation of knowledge. This conscious deliberate process of communication and manipulation of knowledge had existed earlier also under various names of Guru Training, Primary Training, Junior Basic Training Schools, Junior Basic Training Colleges etc. Fifty-five existing Colleges were either run by the Government or sponsored by the Government and privately aided by the Government. Need for entirely Private Teachers Training Institute cropped up when the above-mentioned numbers of colleges fail to meet the demand for Trained Teachers in the long run. Hence in 2003 government took the decision of opening up private Teachers Training Institute to fill up the vacancies by all Trained Teachers. 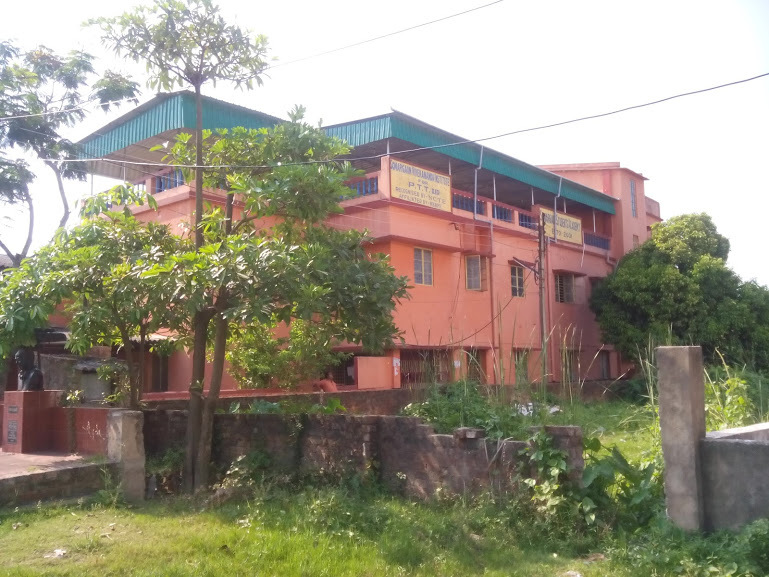 Sonargaon Housing Co-operative Society Limited constructed a large three-storied building with a sprawling open compound in Sonargaon Housing Complex in Rajpur-Sonarpur Municipal area. The then Chairperson of the Sonargaon Housing Co-operative Society Late Mihirendu Sengupta dreamed of using the building for some education purpose. The said building had been leased out in December 2002 to Vivekananda Seva Trust to establish an Educational Institute in the locality. Vivekananda Seva Trust was created in 1965 under the initiative and patronage of Late Swami Sambuddhananda Maharaj, Ex-President, Ramkrishna Mission (Mumbai unit) mainly for the purpose of undertaking educational and social activities like establishing of School, Primary Teachers’ Training Institute, Charitable dispensary, Library etc. for the benefit of common people. So when in 2003 West Bengal Government took the initiative of granting affiliation to Private Primary Teachers’ Training Institute, Vivekananda Seva Trust started Sonargaon Vivekananda Institute for Primary Teachers’ Training. Thus the dream of Late Mihirendu Sengupta was materialized by the erudites of the Sonargaon housing Co- operative Society and the Vivekananda Seva Trust.